Colombia’s main coal miner, Cerrejon, said Sunday that armed groups broke into the premises of a coal venture owned by BHP Billiton Ltd. (ASX: BHP)(LON: BHP)(NYSE: BHP), Xstrata Plc (LON:XTA) and Anglo American (LON:AAL), burning down several of the companies' trucks. The violence comes as union leaders and company executives prepare to hold talks today with the hope of reaching consensus and end the walkout started in early February, which forced the company to freeze all its exports. The strike is costing the consortium millions of dollars a as 100,000 metric tons of coal a day go unproduced. The labour unrest is mostly about wage increases for 2013 and next year, but health-care plans are also on the table. Under Colombian law, if no deal is reached within 60 days the argument will go to an arbitration panel whose decision is final. Last week Cerrejon declared force majeure on at least some cargoes, a move that removes it from any legal obligation to deliver coal it previously agreed to in a contract. About 35 million tons of coal were extracted last year from the Cerrejon mine, and the consortium aims to extract 98 million tons this year. 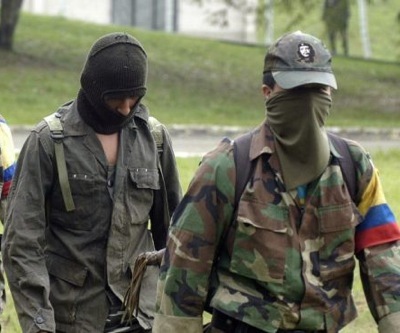 Cerrejon has frequently been victim to attacks by terrorist groups like the FARC and ELN, which increasingly have changed their military strategy to violently disrupt the country's oil and mining industry.